Veterinary Behavior Solutions is a specialty veterinary practice limited to the diagnosis and treatment of behavior problems in pets. 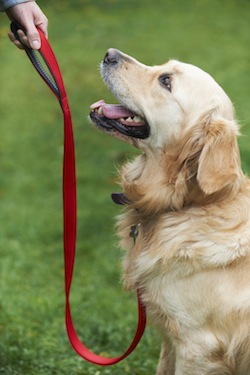 Our goal is to provide resources to help you manage and improve your pet’s behavior problems. Behavior issues with your pet can result in a disruption or fracture in your relationship with your pet. We will help you understand why your pet is engaging in the behavior (whether it is normal or abnormal) and help you heal the relationship. An initial behavior consultation takes about two hours. During the first half of the behavior consult, Dr. Strickler will discuss the problem with you and ask more questions to clarify the problem. She will evaluate any potential medical contributions to the behavioral issue. She will observe your pet’s behavior and your interactions with your pet. During the second half of the behavior consult, Dr. Strickler will review treatment options based upon her diagnosis and prognosis and then recommend an initial treatment plan that best fits you and your pet. This plan will include any medical recommendations and/or interventions, specialized behavior modification exercises, environmental modifications and cognitive and physical enrichment recommendations. Dr. Strickler and her behavior technician will also demonstrate any training techniques that will be necessary to utilize at home and will work with you and your pet to begin training as prescribed. You will receive preliminary written information and an individualized written treatment plan at the time of the consultation. Follow-ups are conducted weekly by phone and/or e-mail after the initial consultation. If necessary, a recheck may be scheduled to further clarify or demonstrate any behavior modification techniques. All family members (including children over the age of 5) and all pets involved in the behavior problem should be present at the consultation. It is best to start off with the right match when selecting a new pet for your family. Dr. Strickler is available for phone or in-office consults regarding selection of your new pet. Please contact our office to schedule an appointment. 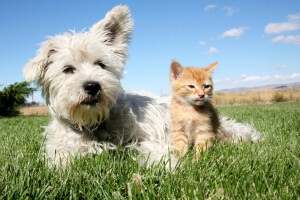 Dr. Strickler and staff are available for an introductory session on puppy or kitten basics. Please contact our office to schedule an appointment. Dr. Strickler enjoys sharing the latest scientific information regarding animal behavior and learning theory both locally and nationally through seminars and lectures. Feel free to contact us if you would like to schedule a seminar with your group or club. Dr. Strickler is available for interviews with newspapers, television and radio shows regarding animal and pet behavior.